South Africa's Working for Water Programme is a great example of the tremendous costs  in both money and time  involved in restoring a damaged freshwater system. 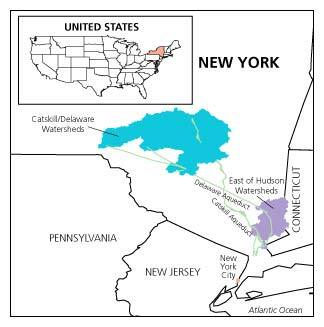 New York City, in an effort to avoid the costs of building a water treatment plant or restoring a freshwater system, is investing $1.5 billion in protecting the watersheds that supply freshwater to that city's residents. 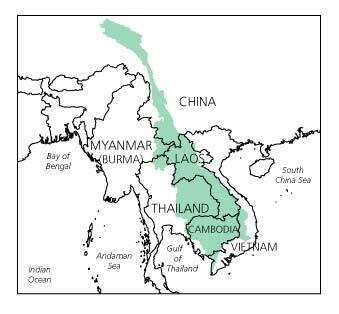 The problem is somewhat more complicated in the Mekong River watershed. Six countries share this watershed and each has a separate agenda for developing this single freshwater system. Though each of these stories differs in its particulars, they all demonstrate just how seriously we rely on freshwater for survival. Cambodia, China, Lao PDR, Myanmar, Thailand, and Vietnam. 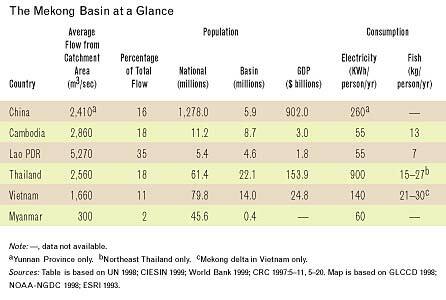 The Mekong is the world's eighth largest river in terms of annual runoff, and so far it is perhaps the least exploited major waterway in terms of dams and diversions. But dams and diversions seriously threaten to alter the flow of the Mekong and disrupt the goods and services traditionally supplied by the river. Scores of large dams are under consideration along its course, in response to the growing regional demand for electricity and the need for the basin nations to earn foreign exchange from international sales of hydropower. In jeopardy are the livelihoods of many of the 55 million people who live in the river basin. Many are poor and depend on the river and its tributaries for survival. For example, fish from the river provides 40% to 60% of the protein consumed by the people in the lower basin. Dams threaten fish migrations, the flood cycle that sustains the area's fish production, and the Mekong's biodiversity. And these are just a few of the biological functions that would be affected. In 1995 the basin countries, united under the auspices of the Mekong River Commission, agreed to work together. Unfortunately the Commission is not empowered to enforce sustainable use or a unified vision for managing the river. Thus, each country continues to plan development projects in their own best interests. Whether the basin countries will make development decisions that protect the river remains to be seen. 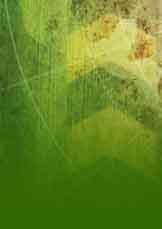 Whether the governments of the poorest countries will forfeit income for the sake of sustainability is another question. The answers to these questions will determine the future of the river system and the development of millions of people. through which the water traveled on its way to the city provided filtration sufficient to provide New York City with what's been called "the champagne of drinking water." The only treatment the water received was standard chlorination treatment to control waterborne diseases such as cholera and typhoid. But in the last several decades, increasing numbers of people have moved to the upstate watersheds. With them came more roads, wastewater, and pollutants  everything from farm runoff containing a cocktail of fertilizers and herbicides, to road salts and motor oils. The natural filtration process that the watershed once provided was strained  and water quality deteriorated. In 1990 the U.S. Environmental Protection Agency put the city on notice: protect the watershed  its natural filtration and treatment processes  or construct and operate a water filtration system. Such a system was estimated to cost $3-$8 billion. The city chose, instead, to buy and protect the watershed at a price of $1.5 billion. But what will happen if farmers in the upstate watersheds don't comply with voluntary pollution protection commitments? Also, some environmental organizations are concerned that the settlement negotiated between EPA and the City contains loopholes in the watershed rules and land-buying requirements. Laudable though this ecosystem protection plan may be, can it work? The key will be adequately controlling development in the regions. Whether it's controlled or not, a filtration plant may eventually have to be built anyway.